Can't see your way through the maze? We all face difficulties at times in our lives.Seeking help from a professionally qualified counsellor can give you the opportunity to see a way through your problems and live a more satisfying life. This is neither self indulgent nor weak, but in fact requires great courage in making the decision to seek help. 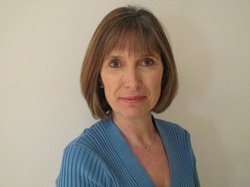 My name is Julie Cheetham and I have been a practising counsellor in the Guildford area for the past ten years. I provide a compassionate, confidential space for you. I listen attentively, without judgement or advice, allowing you to talk about what's troubling you openly and freely. Often, the experience of being listened to and heard will in itself offer you some clarity and understanding. My role is to actively help you in finding a way through your problems and it is our working relationship that is most important in helping you to do this. My counselling practice is based in East Horsley within easy reach of Leatherhead, Cobham, Dorking, Weybridge and Woking. Take the first step; appointments are available at my counselling practice in East Horsley .